Very hot summer day in Bordeaux, especially in my attic room which overlooks our neighbours’s blue swimming pool ! I feel like flopping down on a deck chair in the garden with a good book and fresh lemonade. Of course I would choose a detective novel or a thriller ! It’s quite topical on Scotiana presently and the Scottish crime fiction pit we are searching seems to be bottomless. We’re discovering new books every day. 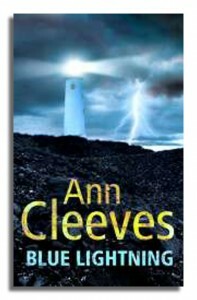 So eager were we, on opening our blog, to speak about Scottish people, beautiful landscapes, mysterious castles, towns and villages that if somebody had told me then that we were to devote so much time to Scottish crime fiction, I wouldn’t have believed him. But here we are and here we will go on, trying to cope with our growing pile of detective novels and thrillers to read. Mind you, we’re taking notes. After some hours of suspense, time to reflect! The atmosphere of the place being a key ingredient in crime fiction recipes, no wonder Scotland is being so successfully chosen as a place for that kind of fiction. 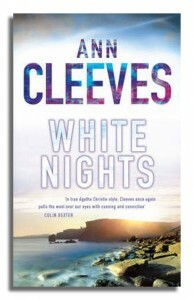 So, it is with great enthusiasm that, yesterday, I discovered Ann Cleeves, a British crime fiction writer whose “Scottish sense of place” seems to be particularly developed. 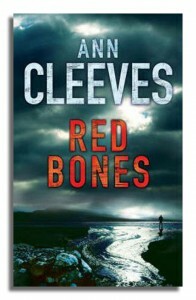 Among other books, Ann Cleeves wrote a collection of four novels entitled The Shetland Quartet . She is not a native of the place nor even of Scotland mainland but having lived some time on Fair Isle, where she met her husband, an ornithologist from the west of England, she knows her subject perfectly. Each title of The Shetland Quartet evokes a colour which can easily be linked to Scotland : black, white, red and blue while the synopsis of the stories reveal the importance of specific themes : day and night, dark and light, the seasons. Take a look how beautiful and expressive the book jackets are. 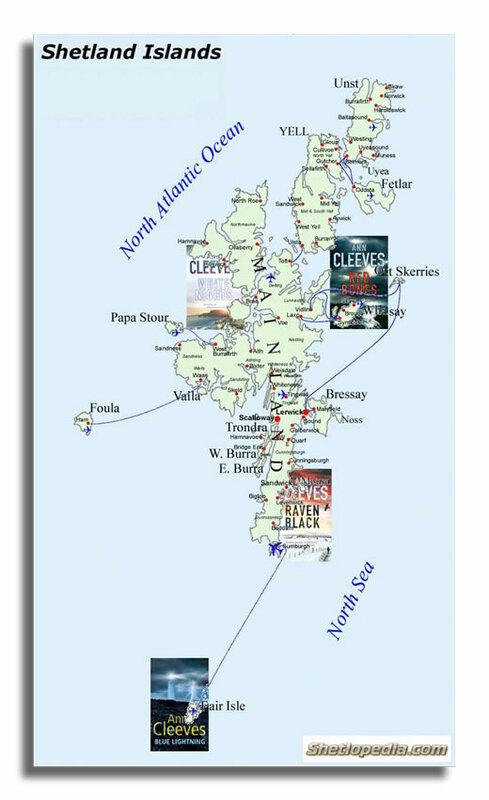 On her website the author has included a map of Shetland that was cleverly modified to situate the stories. I’ve already bought Raven Black and I’m looking forward to reading it. I had to refrain from buying the first three volumes at the same time but I hope to get and read them before Blue Lightning is published. 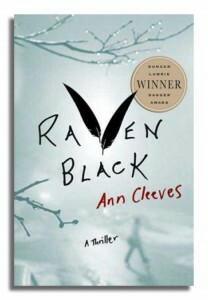 On 29 June 2006, Ann Cleeves won the inaugural Duncan Lawrie Dagger, the biggest crime writing prize in the world for Raven Black, published by Macmillan. Peter Ostacchini, Deputy Managing Director, Duncan Lawrie Bank, presented her with the dagger and her £20,000 prize at the 2006 Dagger Awards ceremony, which took place at the Waldorf Hilton in London’s Aldwych on Thursday 29 June. In all, seven daggers were awarded on that night. Given our focus on crime fiction it could be interesting to give our readers a list of these awards. Hey Janice, isn’t that a good idea? Let me know.